Indiana’s Wolf Run Golf Course to be converted into housing. Proof perhaps that not even high-end, exclusive private clubs are immune from golf’s current malaise, the owner of the well regarded Wolf Run course near Indianapolis has decided to converted his property into a new housing and commercial precinct. Wolf Run was designed by Steve Smyers and opened in 1989. The course was ranked the 15th best modern track in the USA by GolfWeek Magazine in 2000, although that lofty ranking slipped to 74 on the magazine’s most recent list. The drop could be attributed to both an influx of outstanding modern courses since 2000, along with a definite mindset shift in recent years away from the “toughest is best” mentality, to a preference toward more sustainable, playable golf courses. While the course hosted many important events and qualifying tournaments over the years, one suspects that Wolf Run suffered from its difficulty with only single figure golfers likely to enjoy its stern challenge on a regular basis. According to an article on the Indianapolis Business Journal website, the owner of Wolf Run, Stan Burton, has lodged plans with the local county to rezone his 235 acre property into a high-end residential and retail precinct with 360 single-family homes, 200 multi-family housing units, 50,000 square feet of retail uses and 50,000 square feet of office space. Rezoning documents submitted on behalf of Burton, noted that “the same level of attention that was utilized during the development of the golf course has been applied to the proposed transition of the property to a mixed-use residential neighborhood”. The housing component was described as “high-end” and would include custom homes of at least 1,200 square feet to 1,600 square feet. The Indianapolis Business Journal article included some interesting observations from Mike David, the director of the Indiana Section of the PGA. Wolf Run, which first opened in 1989, has on multiple occasions been rated as central Indiana’s most difficult golf course, according to U.S. Golf Association slope ratings. That might have been part of Wolf Run’s problem. The golf course industry has been hit with a spate of closures locally and nationally over the last five years—fallout from massive overbuilding in the early 2000s, David said. 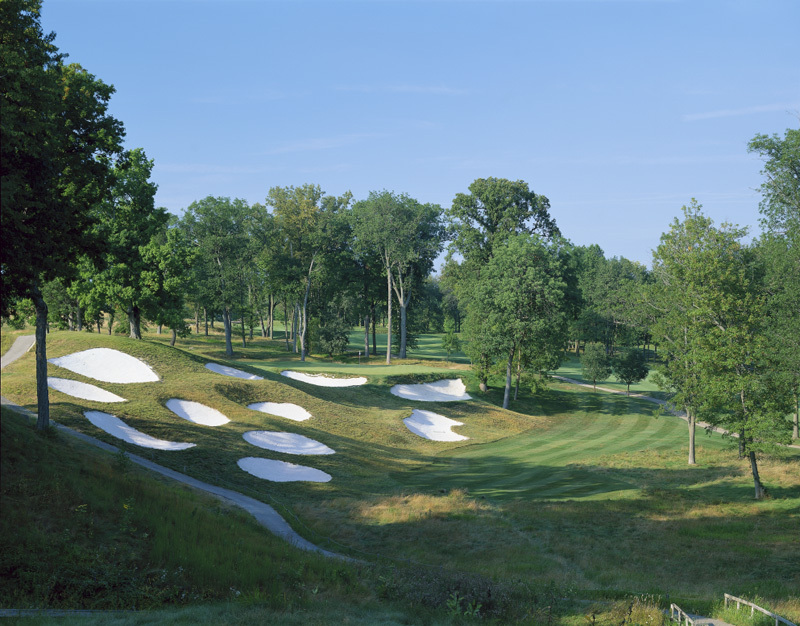 Wolf Run was ranked on multiple occasions in the top 20 of Golf Week magazine’s list of top 100 courses nationwide. While Wolf Run isn’t for everyone, David noted that it has regularly hosted big events, including NCAA-sanctioned golf tournaments, USGA qualifiers and the Indiana Golf Association State Amateur Championship. Wolf Run for a time had a men-only membership policy. David said that it began accepting women members six to eight years ago.